Looking to the future, Nature as infrastructure, Bats, and Diablo Foothills open weekends. We have come a long way in a quarter century. But we wouldn’t have achieved any of the things that we’ve done without the foresight and tireless work of the community organizers who conceived of this idea and worked to establish the Open Space Authority well over 25 years ago. Partnerships are in our DNA. The Open Space Authority was born out of partnerships. From the very beginning, it took partnership between private individuals, organizations, and public officials, including the City of San Jose and Santa Clara County. Partnership continues to be a powerful tool that drives the work we do every day. And these partnerships produce results. To quote an African proverb: if you want to go fast, go alone. If you want to go far, go together. Our work is gaining momentum. The first land acquisition totaled just 3,500 acres back in 1999, six years after our founding, and now we’ve protected over 25,000 acres in our 25 years. But today we’re not just acquiring land, we’re working with private landowners on conservation easements, so they can retain ownership while the land continues to provide the benefits all of us need and enjoy, like clean air and food. We are engaging more youth in our programs to build the conservation leaders of tomorrow, building new and non-traditional partnerships to bring more comprehensive environmental benefits to our constituents, and learning how to engage with our diverse communities in ways more relevant to their cultures and practices, work that will help remove barriers to access of nature in the urban areas. We’re proud of everything the Authority has achieved in the past 25 years, but we’re even more excited for all that lies ahead. 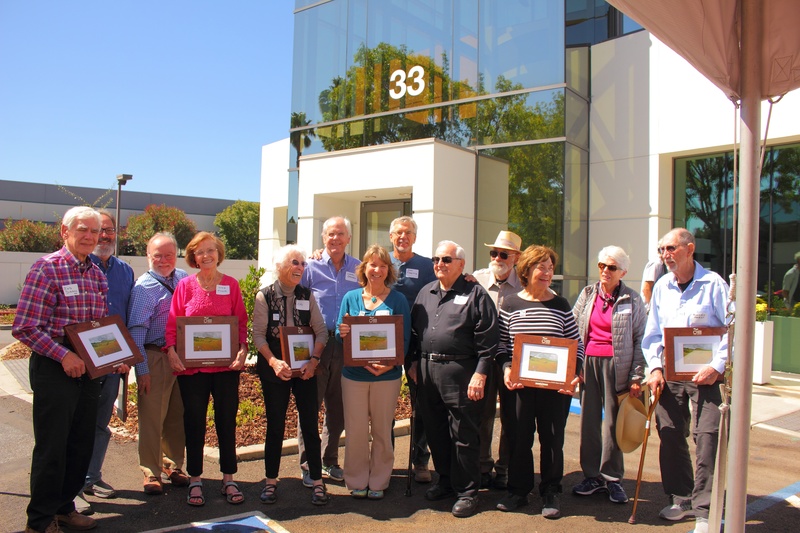 Thank you for being with us and supporting the conservation of Santa Clara Valley and beyond. Here in Santa Clara Valley, Coyote Valley offers an example of the diverse mix of benefits nature provides. 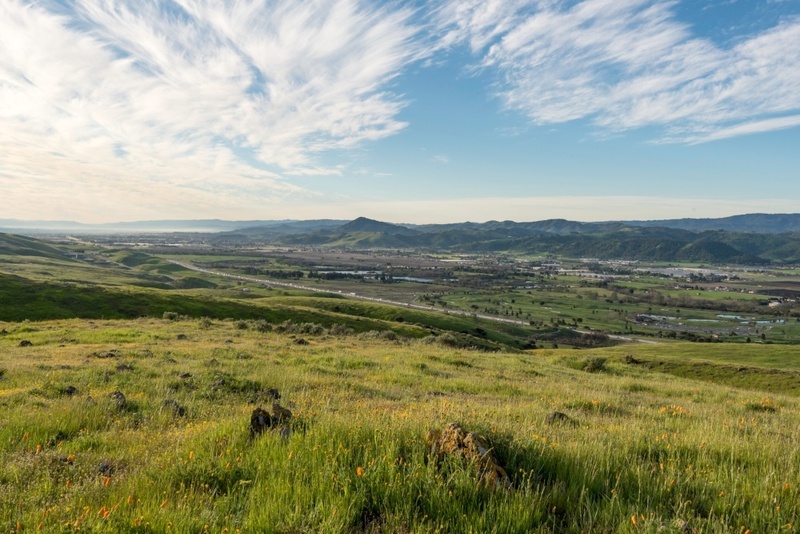 Coyote Valley is a conservation priority for the Authority for the role it plays in the health and sustainability of our urban region and its conservation values: floodplains, local water supply, wildlife corridor connection, agriculture, and recreation. 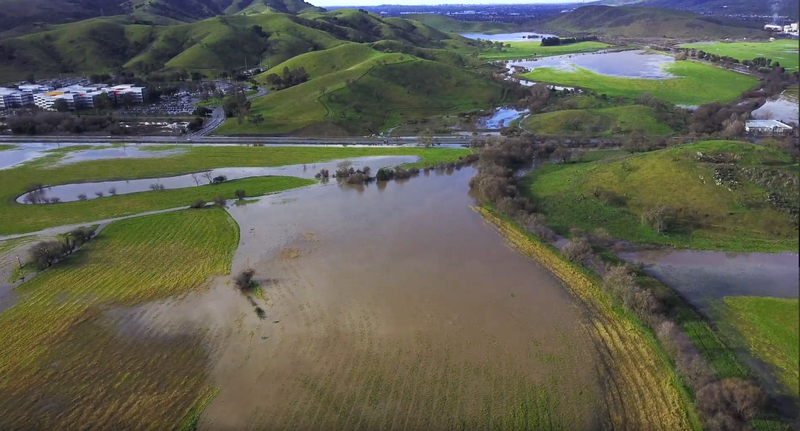 Conservation and restoration investments in Coyote Valley can help to reduce greenhouse gases, store carbon, and buffer the effects of increased temperatures and flood events. Funding this work can help protect our downstream neighborhoods and the local economy from the most damaging effects of climate change. The Authority is working with other public and private partners to quantify the benefits of large-scale natural infrastructure investments, in Coyote Valley and elsewhere, and integrate them into long-range planning efforts for open space protection and restoration. We are working closely with our state and local government partners to fund climate-smart land protection and restoration projects. The City of San Jose has placed Measure T, a local infrastructure bond measure, on the November 2018 ballot. Endorsed by the Authority’s Board of Directors, Measure T would authorize $650 million in bonds to fund emergency and disaster response and infrastructure. In addition to traditional built infrastructure projects (like upgrading 911 communication systems, police, fire and paramedic facilities, and bridge and street repairs) the measure would also provide funding for natural land protection and restoration projects to prevent flooding and water quality contamination. To learn more about San Jose’s Measure T, click here. The State of California has placed Proposition 3, the Water Supply and Water Quality Act of 2018 on the statewide November 2018 ballot. This water bond, also endorsed by the Authority’s Board, would authorize $8.9 billion for water supply, water quality, and land protection and restoration projects across the state. To learn more about Proposition 3, click here. As we get closer to Halloween, images of bats are all around. 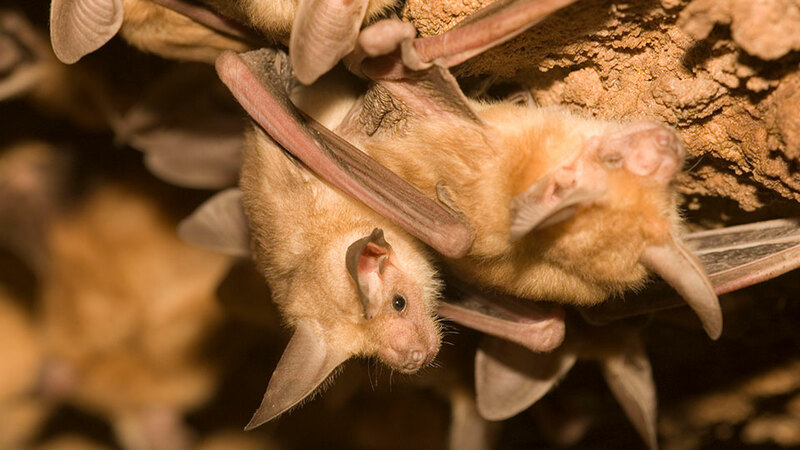 These mysterious flying mammals have been the subject of superstitions, folklore, and fear. They have also been touted as pests or unclean. In reality there is nothing to fear about these animals! They are shy, intelligent creatures that play a vital and underappreciated role in our ecosystem and economy. Last month, the Open Space Authority hosted two docent-led evening hikes led by volunteer docent Joan, to look for bats as they flew out for the night at the Authority’s Little Uvas Creek preserve. Attendees gathered just before sunset to learn a bit of background about these animals and to watch bats fly overhead as it got dark. Learn more about these amazing creatures and where you can spot them here! For three consecutive weekends, we will be opening up the Diablo Foothills Preserve just south of Gilroy to members of the public! 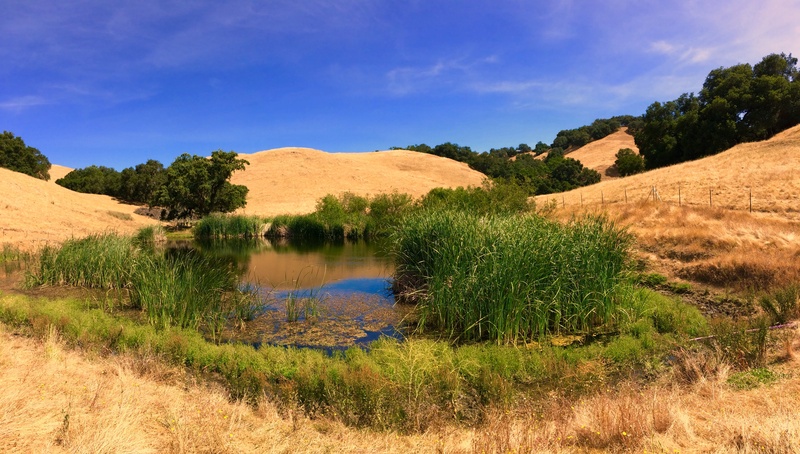 Diablo Foothills is an 819-acre undeveloped preserve with rolling hills, oaks, ponds, and creeks that are part of the primary watershed for the Pajaro River, as well as Coyote Creek. On October 20-21 and October 27-28, the Saturdays will be open for walking and mountain biking and the Sundays will be open for walking and horseback riding. The final Sunday, November 4, will be open for all three activities. Visitors can walk, bike, or ride at their leisure during the event hours or register for the many docent-led activities, listed below! The parking area for this preserve is located just after you pass the windmill on your left. Saturdays: October 20 and 27 | 8:00 a.m. to 6:00 p.m.
Sundays: October 21 and 28 | 8:00 a.m. to 6:00 p.m.
Sunday, November 4 | 8:00 a.m. to 5:00 p.m.
Saturday, October 20 | 9 a.m. to 12 p.m.
Saturday, October 20 | 9:30 a.m. to 12:30 p.m.
Sunday, October 21 | 9:30 a.m. to 12 p.m.
Saturday, October 27 | 9 a.m. to 12 p.m.
Saturday, October 27 | 2 to 4 p.m.
Sunday, October 28 | 11 a.m. to 1 p.m. 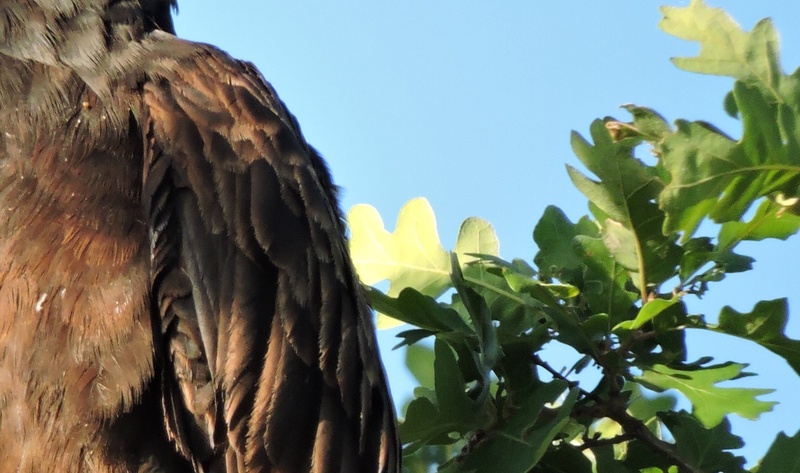 I am a huge, dark bird with a naked pink head and a slow, wobbly way of flying. Rather than hunt my own prey, I use my sense of smell to find the remains of animals that have already died. I am common in California and am likely to be spotted on sunny days, circling high in the sky. In October 2015, through incredible partnerships of public and private funding, the Authority purchased the 1,831-acre Coyote Ridge in the Diablo Range, just west of the Coyote Valley. The Santa Clara Valley Greenprint identified Coyote Ridge as one of the ten most critical landscapes for conservation in the region and the serpentine soils offer one of the most significant habitats in the Bay Area. The property’s lasting protection is vital to the federally threatened Bay checkerspot butterfly and federally endangered Metcalf Canyon jewelflower. The property also provides critical habitat for the California tiger salamander and California red-legged frog, as well as Tule elk, burrowing owls, golden eagles, and other raptors. In October 2017, the first project funded through the Measure Q Urban Open Space Grant Program opened to the community. 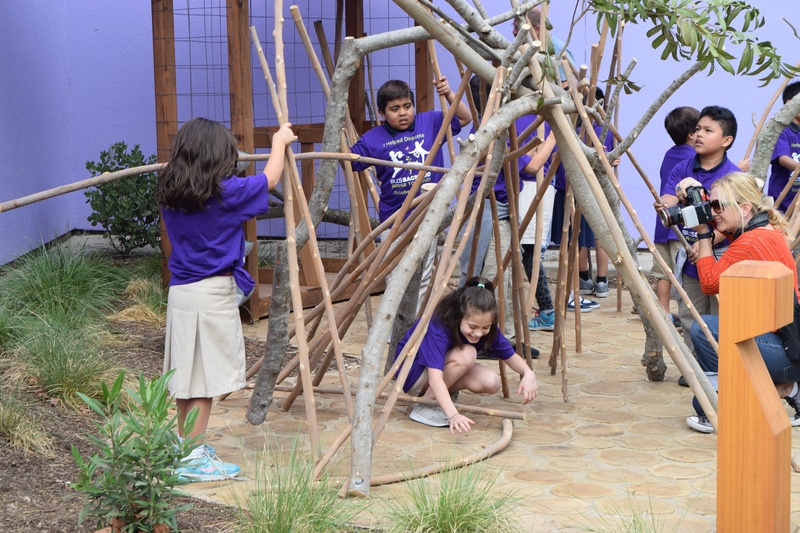 The San Jose Children’s Discovery Museum opened Bill’s Backyard: Bridge to Nature, a ½ acre outdoor play space that gives kids the chance to explore the outdoors right in the heart of downtown San Jose. The outdoor natural play space gives families a safe way to get outdoors and introduce them to nature in an open and unstructured way. 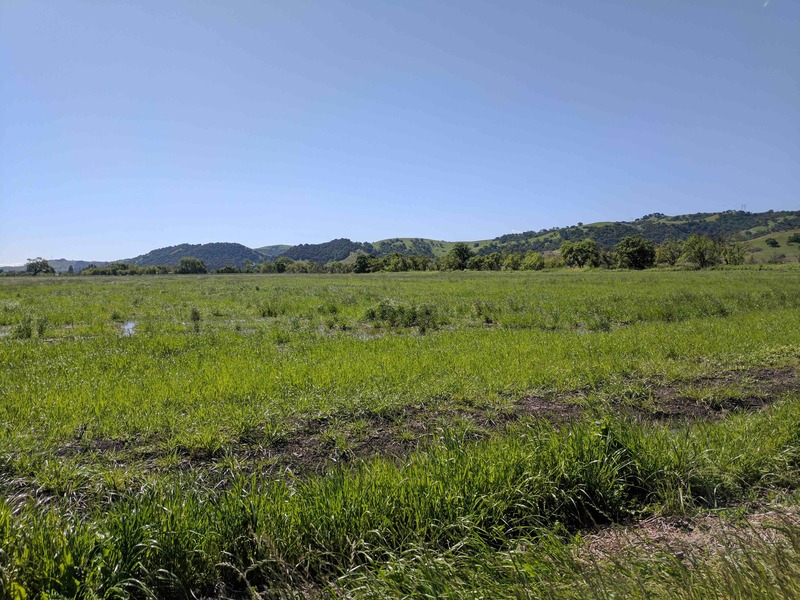 In October 2017, the Peninsula Open Space Trust acquired the 63-acre Fisher's Bend at the intersection of Santa Teresa Boulevard and Richmond Avenue near Coyote Valley Open Space Preserve. The property had been owned and farmed for more than six decades. 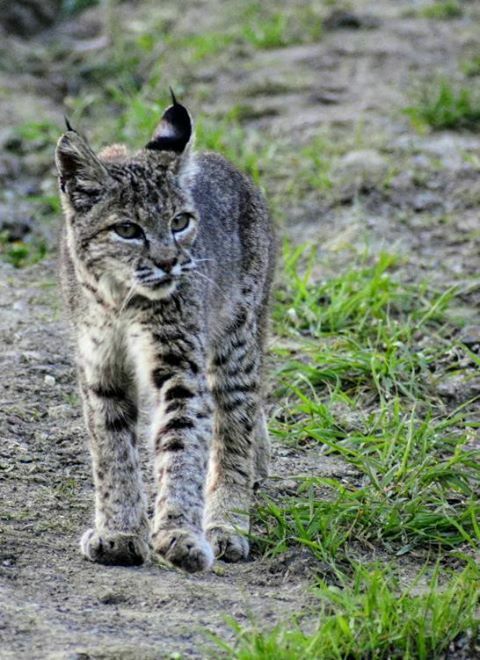 The protected property is a mecca for wildlife. The creek corridor is used by wildlife as a major passage route through the Coyote Valley, and it will be transferred to the Open Space Authority for management. In connection with the ongoing implementation of the Coyote Valley Landscape Linkage report, the Authority's Resource Management Specialist, Galli Basson, collaborated with partners to co-author an article in the journal Conservation Biology on wildlife connectivity. The article discusses that the key to connectivity implementation success is a common vision among stakeholders and communication among and between partners and the public. Did you know we have bats, tarantulas, and scorpions that live in our open spaces? Join Seasonal Educational Aide Richard as he takes us on a creepy night hike within the majestic blue oak forest. Screeech! What’s that?! A barn owl? Snap, crack! What’s that?! The friends of the creepy critters - these are the ghoul times! This is a moderate 4-mile loop hike with little elevation gain. Please bring water, a snack, and a head lamp with red light or a flashlight with red light. 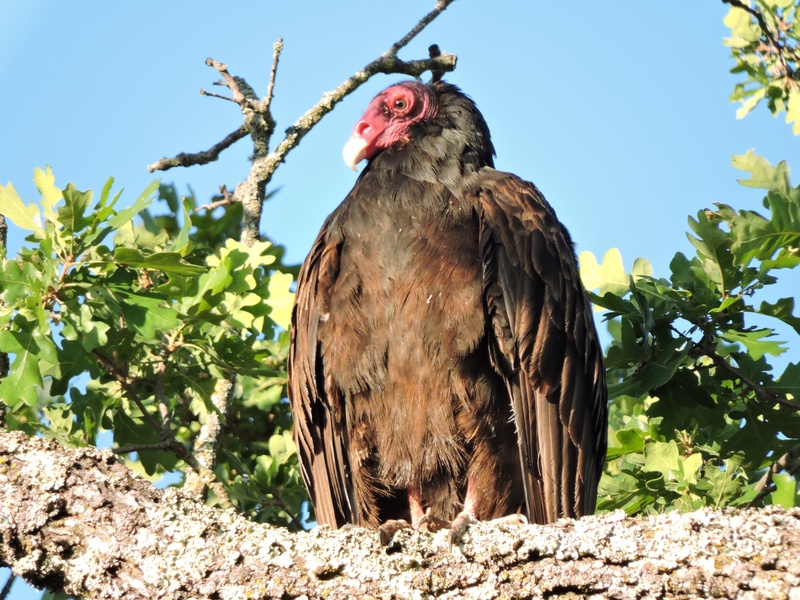 I am the turkey vulture! As a carrion bird, I help keep the environment clean by eating animal remains. I am found in all Open Space Authority preserves.